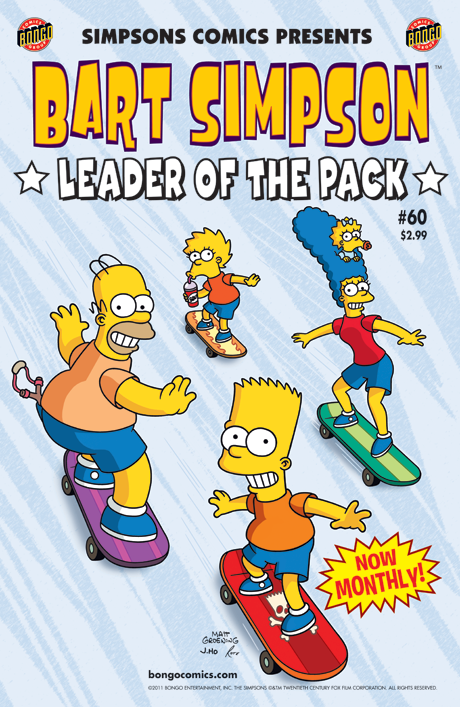 Bart Simpson goes monthly! Now you can enjoy everyone’s favorite bad boy every month at your local comic store and newsstand! In this month’s issue Bart learns a life lesson from Apu,and spends a little quality time with Maggie. Also, teenagers Homer and Barney find themselves caught in the middle of a zombie movie.